You can do this on the web site - but honestly, the best way is on mobile. It's super easy, and super awesome. Righto - here's what you need to do mobile. 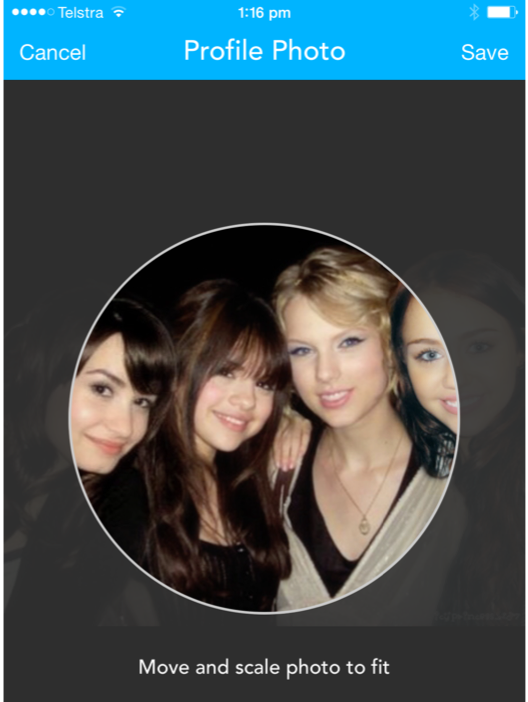 Open the teamstuff app, and use the left hand navigation menu to find the person whose photo you're changing. You'll find them under the profile section, and if you don't yet have a photo - then you'll see a big orange photo icon next to their name. Just touch that to start. If you're modifying their photo, just click on their name, and then their details will appear in the main screen area. Touch the current photo to upload a new one. So that's the first part. The second part is being able to find a decent photo of you/your child - and making sure the most important part - face - is the feature of the profile picture. And we've completely redesigned that from the ground up. 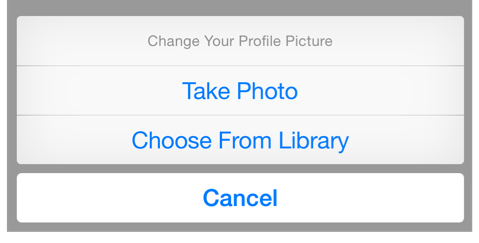 So you can choose to take a new photo, or use a pre-existing photo from your library. You might be surprised how useful this is - even a family shot can be easily used in the next shots to get a great profile picture. Here's the choices as you'll see them. Find the shot within your library ( or take a new one straight from the phone ) - and now we present you with some beautiful tools to make sure you use the photo properly. Hit save - you'll find it at the top right, and you've updated your profile pic. It's super easy - gives a great result. The new profile picture is a whole lot better than ever - better resolution, far easier to see the details - sitting in a circle ( so 2015 ) - AND for the eagle eyed out there, you might notice we automagically will redo both your hairstyle and your makeup as you save the photo. *not all of this sentence is true. 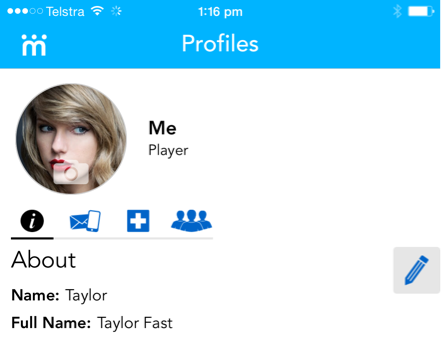 To add a photo to a player, just log in to the website, go to "Profiles" and hover over the icon of a person to the left of yourself or your child. 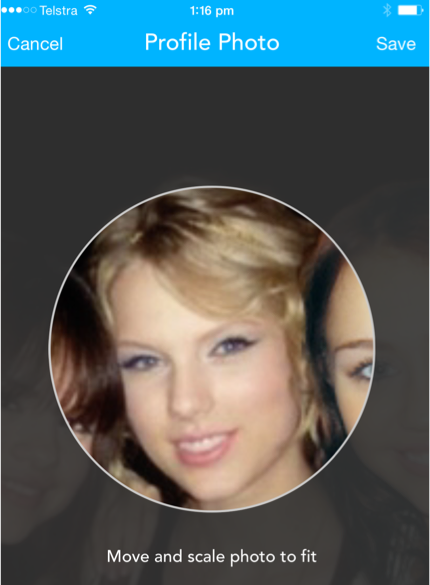 The icon changes to "Add a Photo" and you can choose a photo to upload. Easy!